New Zealand based FinTech Latipay pilots Blockchain based Corporate payments on Hashcash Blockchain network, HC NET. 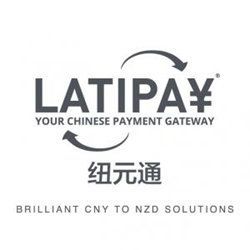 The Latipay platform currently allows Chinese payers to pay for goods and services with Chinese Yuan whilst New Zealand/Australian merchant receives full payment for goods or service direct to their NZD/AUD bank account in NZD/AUD, at no cost to the merchant. Chinese payers can make payment through their preferred online banks or their WeChat, Alipay, JD Pay and Baidu wallets, whilst pay in their preferred currency of CNY. The company eases out the complexity of cross-border CNY payment for several industry verticals such as education, export, insurance, software and travel. LatiPay platform is a Chinese Government approved S.A.F.E (State Administration Of Foreign Exchange) platform. HashCash’s payment product, HC Corporate Payments allows settlement of cross-border business payments over the Blockchain network at a significantly lower cost. The product handles a multitude of trade finance business cases as well as vendor payments which is relevant to LatiPay’s core business activities. “We are also rebuilding our platform to cope with the customization requirements of larger companies and institutions.” said Leigh Flounders, CEO LatiPay. The LatiPay invoicing platform allows for integrated invoicing, goods tracking and funds flow management. Its online payment API "bolts on" to existing e-commerce platforms and allows for businesses and customers to interact within an e-commerce environment. It has a Point Of Sale (POS) distribution contract with WeChat Pay's in-store payment facility. HC NET facilities LatiPay’s expansion into new corridors and powers its platform with an efficient, real-time blockchain enabled settlement process. Hashcash products function on HC NET which uses HCX as a universal settlement asset, though its usage is optional. Hashcash’s Bank friendly Blockchain network offers complete transaction privacy for counter parties of the transaction where even Hashcash, the company managing the network has no visibility of any of the attributes of the transaction occurring on the network. Latipay is a fully compliant financial technology (FinTech) based in New Zealand. The Latipay platform allows for Chinese payers to pay for goods and services with Chinese Yuan whilst New Zealand/Australian merchant receives full payment for goods or service direct to their NZD/AUD bank account in NZD/AUD, at no cost to the merchant.